Address: Broadway Food Centre at the junction of Tyrwhitt Road and Horne Road, Singapore. 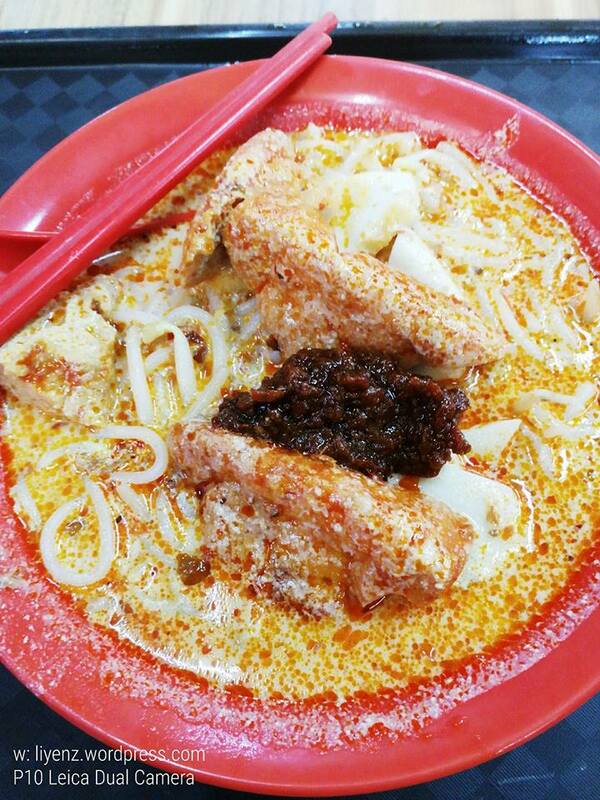 The Laksa smells good every time passed by this stall runs by an uncle alone. With some fish cakes, tau pok, cockles, quite fresh and clean, generous noodle and extra umphh with sambal, it looks spicy yet it is not. It is rich, filling, delicious and satisfied. If you are not very hungry for lunch, it is a good choice, otherwise, you can try his famous mee sua or handmade meatballs noodle which is great too. I will cover it next time. Stay tuned!